Can a rapper have it all? Can a dude get the girl, the career, the lifestyle and maintain it? 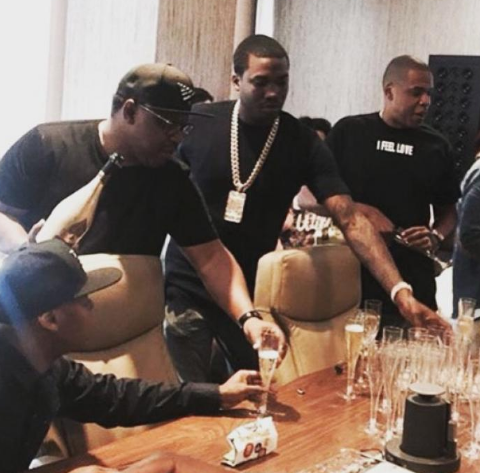 Outside of Jay Z, if there's one rhymer who seems to have his cake and eat it too, it's Meek Mill. Since his unfortunate incarceration a few months ago, the Philly-bred rapper has hit the ground running and he's never stopped. This week, he's celebrating his most successful showing ever. 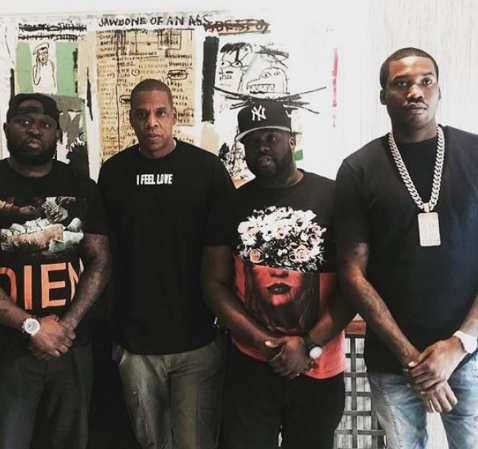 Meek is signed to Roc Nation Management. 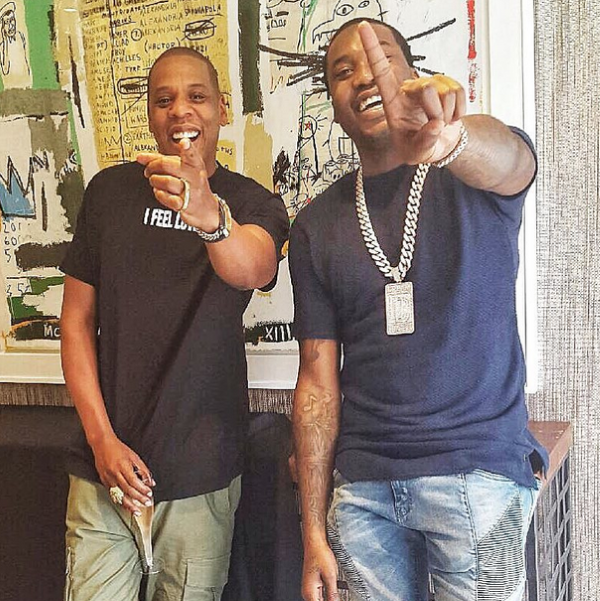 Because his latest album “DREAMS WORTH MORE THAN MONEY” debuted at #1 on Billboard and it's his first #1 album, Jay Z stopped by the office to pat him on the back. 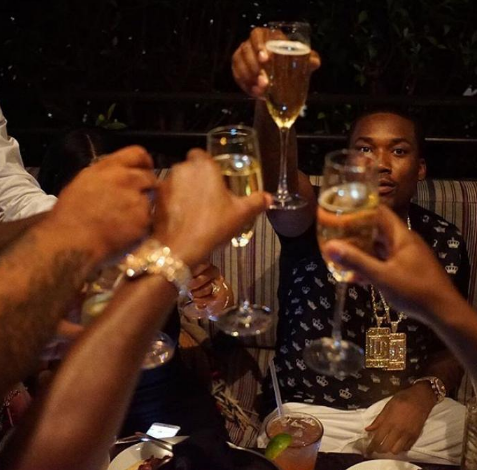 By the way, Meek sold 246K albums. That's major these days! He said , "We never gone lose!" And the fun didn't end there. 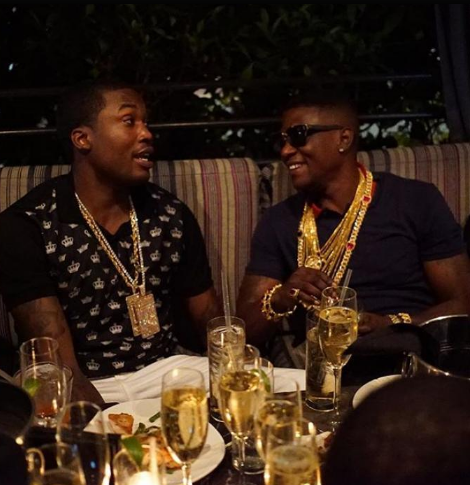 Over on Meek's IG, he's doing the ish that rappers do. He also celebrated his success with Louisiana's finest Boosie Badazz. The "All Eyes On Us" rapper said, "If They ain't real they liars! Can't trust em! Me & @officialboosieig having a #donversation". Oh. 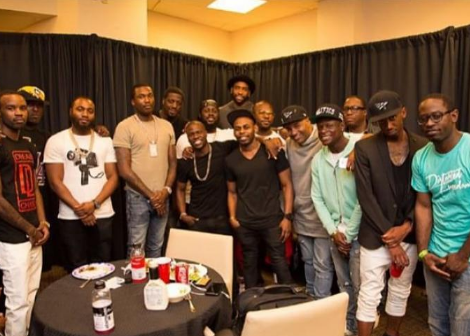 And Tuesday night, Meek and the crew partied with Kevin Hart after his comedy show. 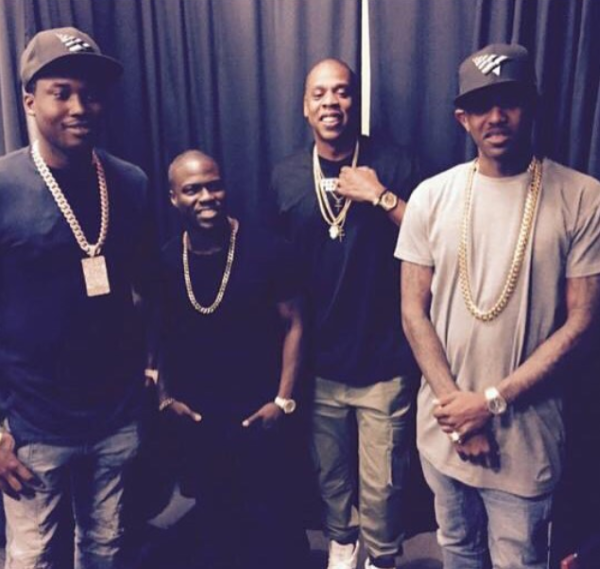 The crew joined Jay and Fabolous at Kevin's Madison Square Garden show for his #WhatNowTour stop. 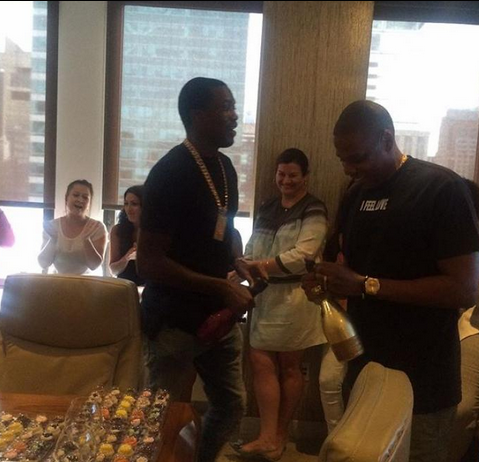 Soak it up Meek. And yes, he gave a special Thank You to his girlfriend Nicki Minaj in his Breakfast Club interview yesterday...even though he says she is NOT the reason he's now blowing up. Check it out HERE.